1240c British Army. Parachute Wings. Colour. British Army. Paratroop qualification Wings. Colour. Royal Navy, Royal Air Force & MTP versio..
UK Forces. Paratrooper qualification wings. MTP. Velcro backed. British Army. Royal Air Force &a..
1242c 5th Airborne Pegasus patch. Colour. 'Pegasus' Traditional Parachute Regiment/Airborne Forces ID Patch. Colour. 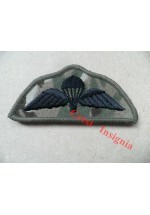 Subdued version [1242s..
1242s 5th Airborne, Pegasus patch. Subdued. 'Pegasus'. Traditional ID patch of British Airborne Forces. Subdued. Colour version [code 1242c] ..
UK Forces. 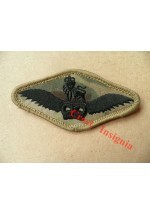 SAS [special air service] qualification wings. MTP. Colour version [code 1244c] also a..
1245c SAS Beret Badge. Colour. UK Forces. 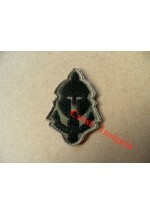 SAS [special air service] trooper cloth beret badge. MTP version [code 1245mtp] also a..
1245mtp SAS beret badge. MTP. UK Forces. 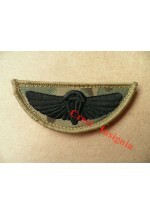 SAS [special air service] trooper cloth beret/helmet patch. 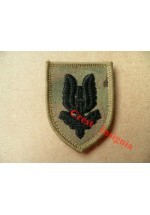 Colour version [code 1245c..
1246ol Special Forces Support Group, ID patch. UK Forces. SFSG [special forces support group] TRF patch. Olive. ..
British Army. Special Recconnaissance Regiment, helmet patch. MTP. Velcro backed. ..
1255 Army Air Corps, Aircrew Brevet badge. Briyish Army. Army air corps, aircrew qualification brevet. ..
British Army, Army air corps, pilot qualification wings. MTP. Velcro backed. Colour version [cod..
1260 16 Brigade [air assault] HQ staff trf. 16 Air Assault Brigade, HQ staff TRF patch. ..
1 Para [1st battalion the parachute regiment] TRF patch. ..
2 Para [2nd battalion the parachute regiment] TRF patch. ..
1263 3 Para TRF patch. 3 Para. [3rd battalion the parachute regiment] TRF patch. ..
1264 4 Para TRF patch. 4 Para. [4th battalion the parachute regiment] TRF patch. ..
16 Air assault brigade, Pathfinder TRF patch. ..
1267 Para Regt HQ personnel TRF patch. Parachute Regiment, HQ Personnel staff TRF patch. ..
Parachute Regiment, depot personnel, TRF patch. ..
1270 216 Signal Squadron, 16 air assault brigade. 16 Signal Squadron TRF patch. 16 Sqn are the Royal Signals element of 16 Air Assault Brig..